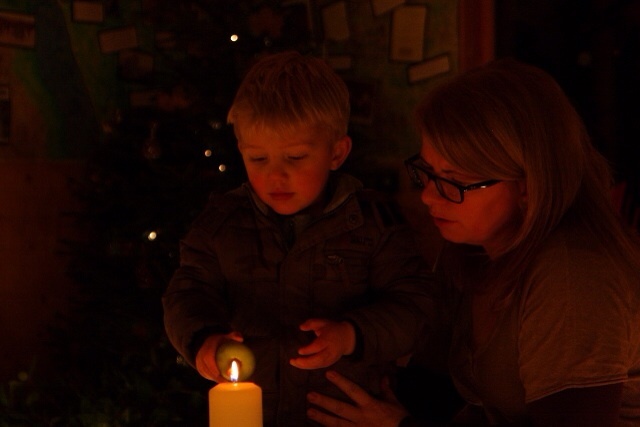 For the second time, Grindleford and Eyam Playgroup joined forces with the playgroup in Hathersage for the Advent Spiral. It is an opportunity for a moment of pause before the onslaught, that is Christmas. Hosted by the National Trust at the Moorlands Visitor Centre, it is truly a magical time. The children are invited to light a candle from the centre of the room, and place it on the spiral. 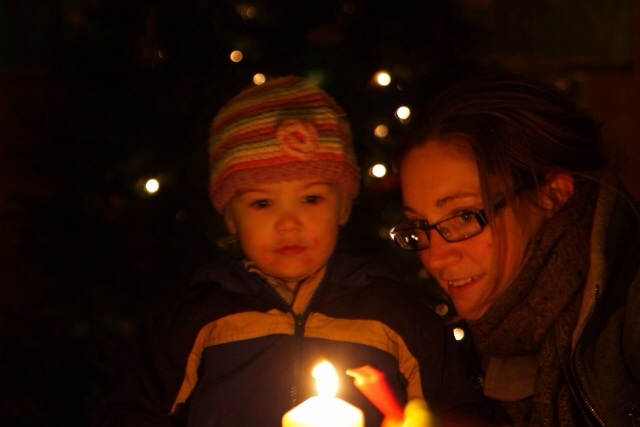 Carols are sung and families from the community come together for a chance to be. A really special event which will be repeated next Christmas. This entry was posted in Uncategorized on January 13, 2014 by grindleford13.